Students must be enrolled in a minimum of 6 credits in the current semester. For summer and holiday employment, students must be enrolled in the previous or upcoming semester. Students may work up to 20 hours per week while in school and up to 40 hours per week during academic breaks. Students can hold more than one position if the total hours do not exceed these limits. Students will need to provide an original Social Security Card and one other type of photo identification (such as current driver's license or passport, or a current student ID). Special documentation is required for international students. 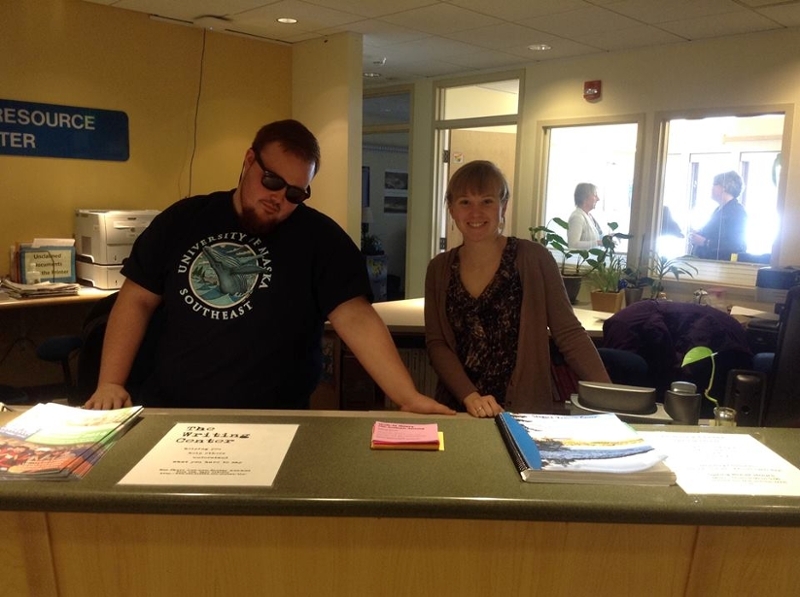 Contact the Office of Academic Exchange & Study Abroad Coordinator Marsha Squires, at 907-796-6455. Fred Meyer - select "Hourly Store Job Opportunities, " "Apply Now," and type in zip code: 99801. Home Depot - select "Search for Opportunities," "In-store Hourly," and type in zip code: 99801. ALEXsys - Alaska's Department of Labor job posting site. Requires you to create a profile in order to view complete job postings. 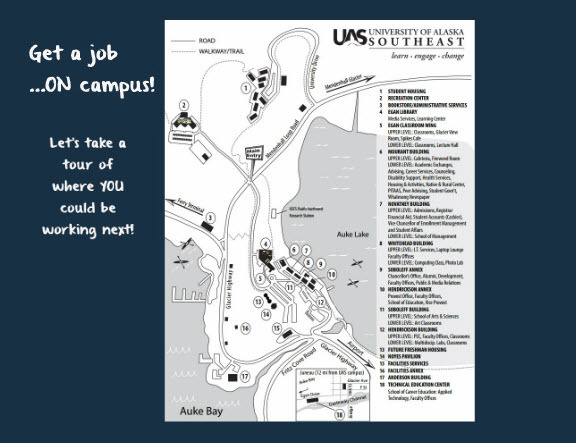 Once your account is created, the site allows you to search for Juneau specific openings. City and Borough of Juneau - Job postings updated frequently. Requires completion of CBJ Employment Application. USAJobs - Government job listings, including Fish and Game, US Forest Service, and all federal job recruitments. 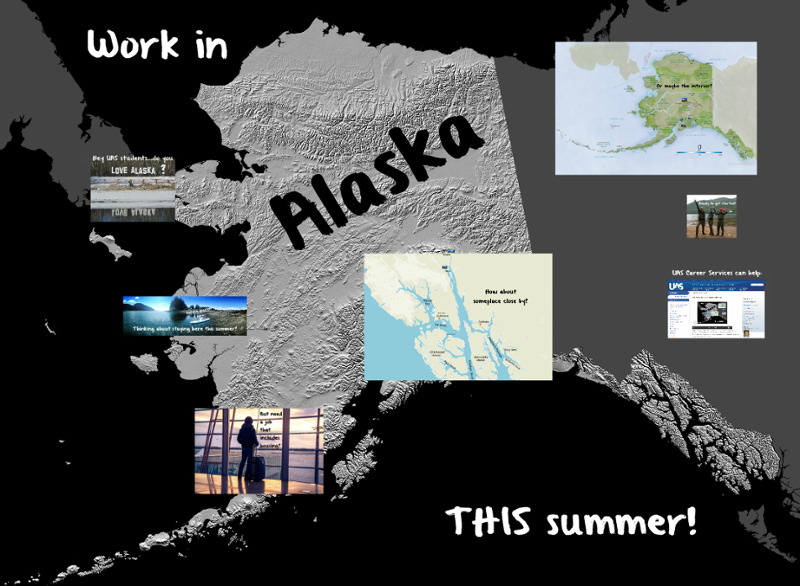 Workplace Alaska - State of Alaska job posting site. 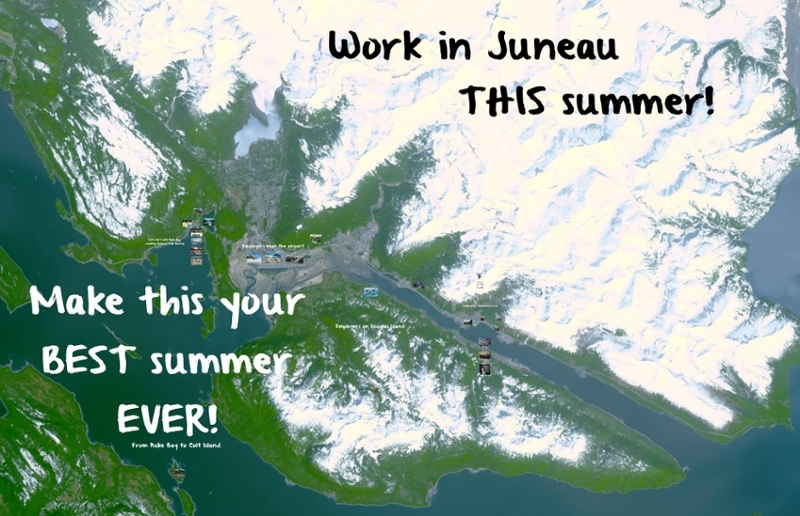 Click on "View Others," "Location," and "Juneau.